With rare sincerity and depth, noted anthropologist Jeremy Narby, filmmaker Jan Kounen, and writer/filmmaker Vincent Ravalec explore the questions of sacred plants, initiations, hallucinogens, and altered states of consciousness, looking at both the benefits and dangers that await those who seek to travel this path. 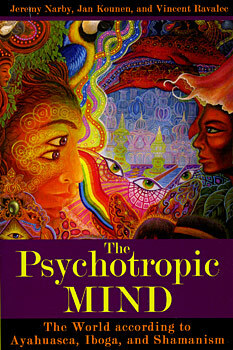 Focusing specifically on ayahuasca and iboga, psychotropic substances with which the authors are intimately familiar, they examine how we can best learn the other ways of perceiving the world found in indigenous cultures, and how this knowledge offers immense benefits and likely solutions to some of the modern world's most pressing problems. "Wide-ranging and provocative, these trialogues entice us with colorful personal encounters with South American and African shamanism. Brimming with practical and insightful advice, and displaying a refreshingly broad conceptual framework, this book is both entertaining and informative. It will satisfy both the newcomer to the field as well as those with a well-established interest in hallucinogens and their social implications." Jeremy Narby is an anthropologist best known for his books The Cosmic Serpent and Intelligence in Nature. Filmmaker Jan Kounen has created a number of films and documentaries, including the celebrated Blueberry, released in the United States as Renegades. Vincent Ravalec is a prizewinning writer and filmmaker whose book Iboga has been translated into English by Park Street Press.